Email marketing experts, HighRoad Solution, have partnered with ElectionsOnline to provide consultation to clients about conducting the email marketing campaign that accompanies any election. Before describing their service, let’s lay some groundwork with the following example. fully integrated where voters never leave the association’s website to cast their ballot. Sending too much email. I once was made aware of a client sending an email to voters every single day the election was underway! Describing the ballot in the email. I’ve seen examples of clients using the email announcement to describe the positions the voters will be asked to vote on once they’re at the ballot. Such things will be self-evident once the voter’s at the ballot and it’s counter-productive to describe such things prematurely. In cases where a voting option does require some explanation, the correct place and time to do that is on the ballot itself, and the ElectionsOnline system provides tools for doing that. Sending overly wordy email. Voters don’t really care that the President of the association has provided some overly verbose plea describing how important it is to vote. If they want to vote, they will, if they don’t, they won’t. Overall member engagement, not a plea from the President, drives voter participation. It’s better to say, “Thanks, but no thanks.” when the President submits copy for the election announcement and instead keep it very narrowly focused on the call to action—getting voters to the ballot. Do other concurrent email campaigns compete with and create a distraction with your election campaign? Could the messaging be altered to better resonate with your audience? Could the day of week and time of day when the email is sent be modified to perform better? Could the election campaign be merged together with some other campaign so that each piggybacks off the other for increased engagement with fewer emails? Part of crafting an effective election marketing campaign is ensuring it blends in well with an overall marketing and communication strategy. HighRoad will therefore need to look at everything you’re doing so the benefit of retaining their service extends far beyond simply optimizing an election’s email campaign. It really encompass everything you’re doing. 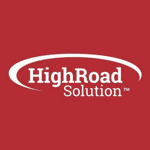 To learn more, visit highroadsolution.com.